"Back up your local data in the IBM cloud with Lift"
It offers you the solution to save your files whether they are video photos documents, no matter if they are old new, with lift can be any backup or data migration, after you create CSV files you can configure the action to update you the increase of data in your cloud, something interesting is that you can backup any database separately and still have updated reports of all files. 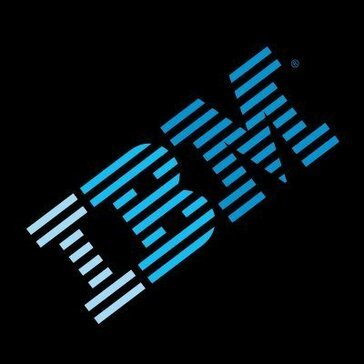 For a new user in this process of working with backup systems with IBM, should have more clear and simple information, the backups, the formats you can save the platforms you use, so the customer can know quickly if in this case lift is the solution you are looking for. If you need a database that supports several data files, in any of their presentations and separately, IBM Lift has the best option for you. In my particular experience I could not perform any data migration, as I asked for an additional credit of $200 to be able to use the benefits and start creating the lists, however for who decides to buy a credit of $200 must follow the exact steps such as download IBM DataBase Conversion Workbench to be able to make the conversion of the database and that is compatible with Lift, have backups with updated reports and thus have a faster response capacity, optimal and accurate. "IBM lift holds loads of data"
Help Desk Migration is a service that allows to move data from one platform to another. Cloudsfer is a cloud based migration service, supporting over 20 cloud storage providers such as Google, Dropbox, Box, SharePoint, Office 365, Aliyun, and others. Nextcloud offers file sync and share combining the convenience and ease of use of consumer-grade solutions like Dropbox and Google Drive with the security, privacy and control business needs. * We monitor all IBM Lift reviews to prevent fraudulent reviews and keep review quality high. We do not post reviews by company employees or direct competitors. Validated reviews require the user to submit a screenshot of the product containing their user ID, in order to verify a user is an actual user of the product. Hi there! Are you looking to implement a solution like IBM Lift?